With the end of another school year behind us, now is the time to focus on summer curb appeal tips for your home. Because there are some slight differences in the seasons, the curb appeal tips for fall, winter and spring will vary from the suggestions for the summer. The longer days and warmer temperatures will provide a good environment to finish up the exterior projects and also spruce up the outside. Listed below are ways to turn your ordinary home to extraordinary as you prepare to sell the property. The first section deals with various projects that most people can handle on their own. Besides a bit of time, these projects will usually only need one or two purchased items to complete. Most homeowners have no problem taking care of the lawn during the spring and summer months. When you have listed your home for sale, it is even more imperative that the lawn looks its best at all times. Make sure to mow the entire yard at the same height. Also, work along the edge of the driveway and walkway with a trimmer to get the few stray blades of grass. If you have an edger, use it around the outline of the driveway and walkways as well. This adds a professional touch to the appearance of the lawn. Extra tip: if your area has suffered a dry spell and your lawn is closer to the color of dirt than grass, try a lawn paint. There are specific applications made for grass that are bio-degradable and help improve the color. All driveways and walkways suffer from the elements throughout the year. This can make them look dingy and unattractive. Rent or buy a pressure washer to wash off the concrete driveway and walkway. Some people simply like to use the water alone while others look for special cleaning agents designed specifically for concrete. Extra tip; avoid using the pressure washer on windows or doors. The pressure could crack or break these fragile items. A common tactic among home sellers is to put a new coat of paint on the front door. Savvy sellers will pick a color that complements the color scheme of the home but also makes the door stand out. For example, a home that has a dull yellow color for siding might have a dark green color for the door. Extra tip: Besides painting the door, consider adding new house numbers near the door. Large, brass numbers or white numbers will also look nice with the fresh appearance of the door. Most of us get in a well-worn rut when it comes to how we store things around a home. The garbage can is usually in the driveway and the worst looking car is near the garbage cart. Now is the time to make a new habit. Find an out-of-the-way spot on the side of the home to stash the garbage can. If you have a spot away from home, put the older car there until the home sells. Extra tip: Get some sealant from a local hardware store and seal up the cracks in the walkway and driveway. This will provide an even, smooth look and entice more buyers. A clean and vibrant garden bed can portray a positive image of your home and attract others that share the same love of foliage. Take some extra time to get your flowers in top shape. Start with the simple stuff, such as getting rid of weeds and taking out any unwanted things like twigs, leaves or trash. Get some mulch and make sure it is enough to cover the bed’s length as well as the width. Mulch can deter new weeds and help hold in water for the flowers. Make a trip to your nearest garden store and pick up some nice annuals. These flowers are often available in bloom so that you simply have to plant them and admire the colors. Annuals are usually fairly cheap compared to other flowers and will hold their bloom for a considerable time. Extra tip: Several websites devoted to gardening and flowers can help you calculate the proper amount of mulch for your area. Simply provide the length and width of the flower bed and the calculator will tell you how many bags to purchase. Fresh, new light fixtures can really make the exterior of a home look nice. Many homes are built with inexpensive fixtures that simply get the job done. New fixtures, with clear domes and new bulbs, will light up the outside and have a beautiful appearance for potential buyers that check out the home after work. If you are handy and feel like replacing the fixtures on your own, make sure the proper electrical breaker is shut off before doing any type of work with the wires. Another option is to get some exterior grade spray paint and re-paint the existing fixtures. Painting the light fixtures a neutral color, such as black, silver, or white, can add a new look for a very small price. Extra tip: Compare costs and stay within your budget for this project. A single can of outdoor spray paint will likely cost $5 to $8. On the other hand, one new light fixture could cost as much as $30. This may seem obvious, but if people cannot see the home easily from the road then they will not get a good first impression of your property. Take a few moments and look at your home from across the street at multiple angles. Look at the trees and shrubs around the home. If anything detracts from the view of the home, you need to trim it or get rid of it. When trimming the shrubs take care that you trim them all at the same height. Having uneven bushes can be very distracting. If you are not able to reach the higher limbs on trees, or the limbs are rather thick, consider hiring an expert tree pruner. Climbing ladders and using high powered equipment can be rather dangerous. Extra tip: if you have high branches that look relatively thin and easy to cut, get a pole pruner from a local hardware store. These tools are long poles with a saw blade on the end designed to cut limbs as high as 10 to 12 feet off the ground. After a long hard winter, the exterior of a home has quite a bit of dirt packed up on it, especially around the windows. Cleaning all of the exterior faces of the windows can add a nice shine to the home. Make sure to clean the INSIDE of the windows too. There are lots of products available at department stores and hardware stores designed specifically for cleaning glass. Just be careful cleaning the higher windows if you have to use a ladder. Extra tip: if you don’t have a ladder but are in need of one, it is not necessary to buy one. Contact a local equipment rental store and they can provide you with either a step ladder or lean-to ladder that will help you reach the windows. As a bonus, renting a ladder is a fraction of the price of buying one. The previous items were mostly do-it-yourself projects that can be accomplished with a little time and inexpensive products. The following items may not all be necessary for your home but maybe one or two of them could add some extra pop to your home and help it sell faster. While it may not be necessary to repaint the exterior of the home (especially if you have brick or siding), the trim may need a fresh face. Consider repainting the trim in a color that will accent the home’s primary color and will also look good with the front door. If you have a traditional gray front porch or some other generic concrete color, consider adding a coat of paint to the porch. This can really make your home stand out from the other properties on your market. If you are the do-it-yourself type of person, you could handle this task along with the front door and the trim work. Just be sure to take necessary precautions around the paint fumes as explained on the paint can. If you have an older mailbox, consider replacing it with a newer model. Lots of options are available ranging from artistic plastic to vintage wood to detailed ironwork. Pick something that matches the theme and look of your home and will also look nice with the neighborhood. Obviously, if you live in a neighborhood that is subject to a Home Owner’s Association, you will need to check their rules first before changing the mailbox. While this does not exactly fall into the category of summer curb appeal, it is definitely a good idea to service the air conditioner before the high heat of summer arrives. Replace the filters, clean out the filter guard and maybe clean the outside unit if you have a central air conditioning system. Any other item will likely need to be handled by your regular repairman. Many exterior shutters are now made of inexpensive plastic. These items can fade over time and look dreary, especially if you have siding or brick that was recently cleaned with a pressure washer. Consider removing them and then spray painting them to give them a fresh look and add to the overall appeal of the home. We have received some input from a professional home stager as well as an interior designer. Their input is invaluable in making sure you are able to present your home in the best fashion possible this summer. Red Barrinuevo is a Canadian Certified Staging Professional. He is the recipient of numerous home staging awards and was picked as the 2016 Top Professional Stager of Canada. He has worked with top Real Estate Brokers, Investors, Real Estate Agents, and has helped homeowners showcase their homes when it is time to sell. As President and Principal Stager of REDESIGN4MORE, Red provides home staging and interior decorating services for both small and large-scale residential projects throughout Toronto and the GTA. To learn more about his work, visit his website at www.redesign4more.com. Attracting serious buyers requires a well-showcased home both inside and out. 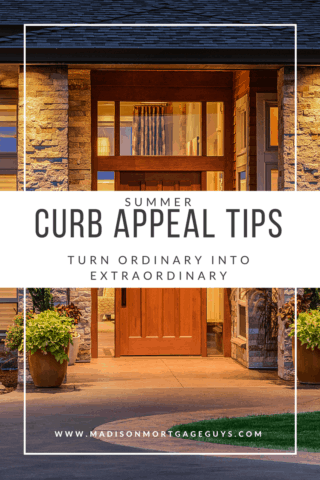 After all, your curb appeal is your first opportunity to “wow” your prospective buyers and to entice them to step into your door to see the rest of the house. Keep shrubbery and trees properly trimmed and manicured so the house looks well maintained, clean, bright, and more spacious from the street. An unkempt front yard can send a wrong message to buyers which could lead to a drive-by to their next listing. Remove children’s toys, garbage containers, recycling bins, or any other unnecessary items cluttering your front yard. Your goal is to showcase a curb appeal that says “welcome home” and clutter screams exactly the opposite of that. Fix your warped or broken garage door. It is one of the largest, most visible, elements of your home from the street. Leaving it broken can ruin a great first impression. A coat of paint usually does the trick, works like an instant “facelift” but if the problem is the mechanical part of it, a garage door repair company can fix it no time. Consider repainting your front door. The right door color can make your home stand out in online photos making it more visually appealing than boring non-descript doors. It can set your home apart from the competition and can increase interest from potential buyers. Replace your old or worn-out doorknob with a new gleaming hardware. Replace broken mailboxes, your tarnished or dated house numbers, and broken light fixtures by the porch or by the garage if needed. These are quick and inexpensive upgrades that have a big impact on buyers. Make sure the walkways and porches are swept clean. If you have a porch, showcase it well! Stage it with a cozy seating area and take advantage of the summer blooms! It can add cheer and colour to your home; not to mention it looks great on the listing photos too! Both sides of the house should be clean and free of “stuff”. Do not use this spot to dump garbage or unwanted furniture pieces that you removed from the inside of the house, this space shouldn’t be a temporary “catch-all” spot! Give your windows a good wash, glass windows accumulate grime and dust (especially if you haven’t touched it for years) let it shine and sparkle again! If doing this should pose a safety concern, hire professional window cleaners, they always get the job done! Give the front pavement and the back deck a good pressure wash. It’s a great alternative to painting. Once everything’s washed you might discover it doesn’t need to be repainted at all; perhaps just a touch-up will do. If you don’t have the time or the right equipment to do it, hire a professional. Window cleaning professionals usually do this too. And lastly, if possible, park your cars down the street to give your front yard a more spacious appearance from the street, while also providing your buyers a more convenient parking. Diana Hadchity Chedrawy is an international designer and decorator, consultant, writer, and the owner and publisher of www.leovandesign.com. As a professional design consultant, Diana started Leovan Design, hoping to inspire others by writing informative articles that share her design tips and ideas. Diana is regularly interviewed to provide her insights on design trends and has been featured in lifestyle magazines, e-books, and on design manufacturers websites. Your front lawn should look well maintained. Remove any weeds and make sure the lawn is cut regularly and the front yard is clean. Prune and trim hedges, plants, and shrubs especially in areas that are obstructing the view of your home from the street. Trim back bushes, shrubs, and trees so the entrance of your home is bright and welcoming. Make the entrance of your home more welcoming by adding appropriate seasonal plants. Place some container plants in pots and add them on your front steps or porch; to create a welcoming front yard. Make sure pots, planters, and baskets match the style of your home. Use accent colors on the doors, shutters, and windows in order to give your property some personality. Add mulch, shrubs, plants, and flowers (perennial and annual) of varying colors and types to your front yard landscape. Enhance your home’s curb appeal with brightly colored flowers, perennials plants, and inexpensive evergreen shrubs. Add outdoor solar lighting walkways and pathways. Exterior lighting makes your home appear more inviting and enhances your front yard design. Make sure walkways and porches are swept clean. Garbage cans, compost containers, and recycling bins should be kept out of sight. 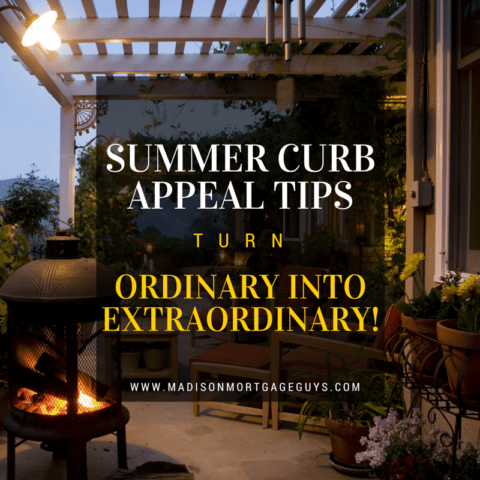 Since we have a growing network of experienced real estate agents, we asked them for some input about summer curb appeal as well. These tips and advice come from feedback the agents have received from their transactions and should help you see what other home buyers are considering when they look at your home. In an effort to get some great advice on how to improve curb appeal in the summer months we reached out to Bill Gassett, a popular blogger and one to the top real estate agents in Southborough Mass. Bill has been selling homes for nearly three decades so his advice is always timely and useful. Bill, in fact, provides some excellent tips for selling a home in the summertime in a very recent article he wrote at Maximum Real Estate Exposure. Bill emphasizes in the piece how important your yard is when it comes to buyers purchasing a home in the summer months. The competition will certainly be one their toes when it comes to their property so keeping up with the Joneses is certainly important! When I think of summer, I think of one advantage more than any other when it comes to seasons…summer is such a great time to show off the outside of your home with color! If you find that your home is on the market during the summer months, why not use what nature has to offer, and plant flowers that are native to your area of the country? No matter what your climate, there are colorful blooms that will bring life to your landscaping. The best part is that a drive to the local nursery or home supply store will result in instant blooms. The great thing about flowers is that even if you don’t have the actual square footage to plant them in the yard, you can add planters to the front of your home, your porch, your sidewalks, even on the edges of your existing beds. And don’t forget hanging pots of flowers. Nothing says “welcome home” like cheerful flowering plants. Kyle Hiscock, one of the top Realtors in Rochester NY with Nothnagle Realtors, has helped hundreds of buyers and sellers move in, out, and around Rochester since 2011! Kyle actively writes helpful content on his popular, Rochester’s Real Estate Blog. Thanks, Luke for reaching out to me to get some tips for improving curb appeal during the summer. 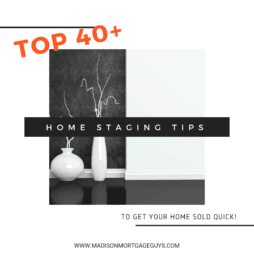 The summer is not a very long season in the Rochester NY area, however, it can be a great time to be selling a home if the proper steps are taken. One of the most important tips for improving summer curb appeal is making sure that buyers who are driving by your home see nothing but a clean and crisp appearance. This includes making sure the front door of the home is freshly painted, any exterior wood trim is freshly painted, the lawn is cut, and the edging along any flower beds or sidewalks is tightened up. Some buyers will elect not to look at a home if it doesn’t look well-kept from the street! Another simple, yet effective, tip for improving summer curb appeal is to make sure any plants, shrubs, and bushes are trimmed. A home that has overgrown bushes and weed-filled flower beds scream deferred maintenance. In most cases, I suggest to sellers that less is more when it comes to flowers, plants, shrubs, and bushes. Some buyers see an overabundance of landscaping as a ton of extra work. Bottom line, a home has excellent curb appeal during the summer has an advantage over other homes that are for sale. The quality of a homes curb appeal has an impact on how long it takes to sell a home and also how much a home will sell for! Want to make a great first impression on potential buyers during the summer months? It starts with the right curb appeal and outdoor living spaces. One of the first things people look for when shopping in nice weather is a great outdoor living space. This is a priority for more buyers in the summer months than in the winter months, because of the experience. When someone sees other people outside, enjoying their farmer’s porch or backyard patio, they are far more likely to want that same experience. It’s like buying a convertible car, you are a lot more likely to buy one when the weather is nice, so you can enjoy it. If you don’t have an outdoor living space and you plan to sell your home when the weather is nice, you could see a nice return on investment by adding one. We wrote about low-cost improvements that increase home value and a deck/patio offers a great return on investment. If you don’t have the money to spend on a deck/patio you may be able to build a garden that allows buyers to check off the box for ‘outdoor living space’ – One of the top priorities people have is the ability to enjoy time outside in the summer months! Anita Clark is a residential real estate agent, providing quality service to both buyers and sellers in the Bonaire Real Estate market and outlying communities. Summer has arrived, the lawn looks great, the shrubs are well manicured, and drought hardy plants abound. While it appears your home is ready for buyers to drive up and be impressed, do not forget to pressure wash the driveway, walkway, and exterior of the home to remove any dirt or mildew that may have built up. Roll up your sleeves and wash the windows as well to give your home a clean and inviting look and feel. Also, ensure you stage the backyard by providing it the same treatment as the front because serious buyers will be looking for blemishes with a critical eye. One of the easiest ways to ensure your home gives buyers a positive vibe is to freshen up the interior. This can be as simple as re-painting the walls, doors, and baseboards. Painting eliminates your wear-and-tear marks and gives the entire home a clean look and feel. Hire a handyman to tackle the job if you are not up to it and ensure each room is a neutral shade. If you are not sure what colors, shades, and tones are popular, ask your agent for advice, since they are visiting homes every day and should have a good idea what most buyers want. If the interior pops, you can bet the property will make many short lists, giving it every opportunity to sell quickly during the summer months. As an accomplished Real Estate professional, you’ll find Lynn Pineda selling homes in Southeast Florida covering the areas from Coral Springs FL Real Estate to Boca Raton FL Real Estate. It’s what she loves to do! Make the birds want to fly through your windows – Oh, the appeal of sparkling, clean windows, windows that almost appear as if they’re not there! We all remember the hilarious Windex commercial where a couple of birds decide to get back at a homeowner so someone else can experience really sparkling, clean windows. Clean your home’s windows, particularly those that face the street where approaching Buyers will see their sparkle. This will immediately signal to approaching Buyers that this home is going to be clean before they even get inside, signaling a well cared for home. An impression has been formed before even stepping one foot inside of your home. And of course, you will have certainly thoroughly cleaned your home. Well cared for, clean homes sell for more money. Lure in the butterflies – Could your yard and it’s landscaping use some sprucing up? Why not add some lovely flowering plants that appeal to butterflies and birds? How about a butterfly garden?! Go to your local nursery and they can help you in choosing flowering plants that attract butterflies. Adding these fresh new plants to your home’s landscaping is a definite draw for any prospective home Buyer. And of course, this will include making sure your yard’s bushes and hedges are trimmed, the grass is cut and fresh, new mulch is added. 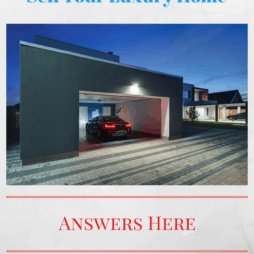 Make your home easily found – Where are your home’s address house numbers located? Are they worn and tattered? Can they be seen easily from the street? Are they being covered by trees? Why not buy a new set of house numbers for your home. Buy something that compliments your home’s style and architecture. You don’t want prospective home Buyers to have difficulty in finding your home, because they can’t read your numbers or are having difficulty in finding them. Dress up your home with new house numbers! Make the rodents and native mammals bypass your home – Keep your trash picked up, secured and out of the viewing way. We all have trash, yet when selling a home it’s important to keep it out of sight. If your trash cans are kept outdoors, it’s a good idea to have them in a hidden area. If your trash isn’t hidden consider adding a fenced in area or planting larger plants to make them less noticeable. These ideas won’t break the bank and they can really go along way in making your home’s exterior extraordinary. Nathan Garrett is a licensed real estate agent in Louisville Kentucky. Nathan is the owner and manager of the Garretts Realty Group website. When selling your home in the summer months it is important to put forth the same effort when getting your home ready to sell as you would in the winter, spring and fall months. As a professional, it is always important to educate a seller about the significance and impact good curb appeal has. Upgrade your front door. If you decide not to install a new front door at least consider giving it a thorough cleaning and add a fresh coat of paint. This is the main point of entry and a focal point to visitors. So make sure it looks good. Give your home a great boost of curb appeal by sprucing up the landscaping around the front of your home. Add new landscaping edging, fresh mulch or rock to really make it stand out. Staining your driveway is a cost-effective way to give your home more curb appeal. It is recommended that you also hide your garbage and recycling containers around back so they are not visible from the front. Clean and paint your garage doors and even consider adding the decorative carriage house garage door hardware kit to help make it stand out. Todd Ferris is an agent with the F.C. Tucker Company and co-founder of the Ferris Property Group. Since 2008, Todd has consistently ranked as one of the top producing agents in the greater Indianapolis area. Todd co-hosts The Boom Real Estate Podcast, which is designed to help real estate agents build incredible businesses and incredible lives. We all know that first impressions are important and are made in a matter of seconds. So why do so many home sellers neglect curb appeal, a home’s first impression? Perhaps it’s because some sellers believe that improving curb appeal is costly. In reality, boosting your home’s curb appeal can be one of the least expensive improvements you make when preparing your house for the market. Many “boosts” only require a time investment. Tasks like mowing the yard, washing windows, removing cobwebs from the porch, and washing sidewalks are completely free! Other improvements—like updating house numbers, mulching flower beds, and painting the front door—make a huge impact and the costs are nominal. You can get more budget-friendly curb appeal ideas here. Paul Sian is a licensed Realtor in the states of Ohio and Kentucky with over 12 years of real estate experience. For more real estate information and blog articles be sure to check out my website at CinciNKYRealEstate.com. Just because it is summertime does not mean people are not out looking for a home and ready to buy. If you are planning on selling your home in the summertime there are great ways to make your home shine so the buyers stand up and take notice. These tips will help you get and more buyers ready to make a good offer. While the summers in the Cincinnati area can get hot and humid that does not mean you should ignore your landscaping. The mulch you laid down in the spring should still be fresh and so little is needed to be done there. If you have bushes, plants or other vegetation that has gotten overgrown then you need to make sure they are trimmed, cleaned up and look proper. While some flowers may not be blooming due to the season make sure to check out your local nursery for plants that will bloom during the hotter months since they add color to your landscaping and help brighten up the look of your home. If you have let your landscaping dry out during the hotter days of the summer then now is a good time to revive it. Most grasses during times of high heat and less rain go into a dormant stage when not regularly watered and can be brought back with consistent and proper watering. If you have the time some parts of your lawn cannot be recovered then the best bet is to try and reseed those lawn dead zones and make sure you water consistently to bring the lawn back before putting your home on the market. On the other hand, if you don’t have enough time to allow grass seed to grow then look for companies that sell sod that is similar in type and color to your lawn and just fill in the dead zones with sod making sure to water consistently as per the sod growers instructions. Also, don’t neglect the indoor parts of your home since the inside is really what counts. The last things buyers want is to see a home for sale with great landscaping but enter the home only to find it feels like a humid swamp. If you have not had your air conditioner looked at and tuned up you should contact an HVAC contractor and ask them to perform a tune-up so your HVAC is operating at peak condition. Especially during the hot and humid summer days, buyers want to know that the home they buy does not have any problems with a major system like the air conditioner. Not only does the air conditioner keep a home cool it also reduces the humidity in the home which means fewer chances for mold to take hold and cause other problems in the home. Those are just a few tips to follow so you can make sure you have a successful summertime home sale. 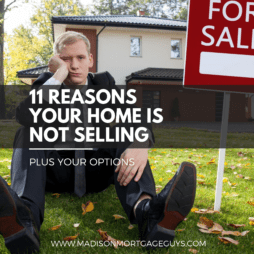 I provide some more tips on how best to sell your home for your knowledge in my article 10 Great Tips For Selling Your Home. Great your guests with flowers – nothing says hello like diverse and glorious colors of flowers. Plant according to height, lower flowers in the front, higher to the back. Plant a variety of flowers with different blooming seasons for more color year-round. Choose flowers and bulbs that are easy-care and natural for your area. Make use of colorful flower pots and hanging pots. Consider water usage and future time-maintenance carefully. If you have any tooth for design, art or composition, you’ll get this right away. Choose dark green drought-tolerant foliage that is thick and full, but also taller than your flowers for sort of canvas to help your flowers pop. If you have a darker colored house, you may not need to work on this as much. View more summer curb appeal ideas! Debbie Drummond is an experienced full-time Realtor who is on top of the Las Vegas Real Estate market. Hot, dry climates with temperatures in the triple digits can wreak havoc on a home’s summer curb appeal. You should take some extra steps to make sure everything looks inviting. These steps should help get everything up to par and keep things looking good. Start by removing and replacing any plants that aren’t doing well. When replacing the plants, look for plants that will handle the Summer heat. Plants that bloom will cheer things up. Trim healthy plants to remove any dead foliage. Pay special attention to the sprinklers near plants that are dying. Their condition may be a sign that a sprinkler head isn’t working. Check the entire sprinkler system to be sure that it’s functioning. Set the timers according to water restrictions in your area. Summer heat takes a toll on your home as well as the landscaping. Take a look at your exterior paint. Touch up any areas that are cracked or peeling. Door handles and metal trim that has been pounded by the sun may also need replacing. Don’t forget the backyard. Remove any worn out patio furniture or clutter. Arrange patio furniture to create a nice space for outdoor entertaining. Replace any faded or damaged cushions. If you have a pool, check that everything is working and keep the pool clean. Fix any loose or missing tiles. Tony Mariotti is the founder of RubyHome. In addition to helping folks get home loans, he’s an avid blogger. His favorite topics are online marketing, real estate, and mortgages. You can follow him on Twitter. Increasing curb appeal can be different depending on where one lives. The ideas below are for summer months on the West Coast, primarily from the Bay Area up to Seattle. In Washington, Oregon and Northern California the following tasks can go a long way toward improving a home’s exterior. Trees with long branches that encroach on houses are very common. One thing that folks forget to do is to prune branches away from the home’s structure. For showing homes in summer, letting in a lot of natural light is key. Any blocked light reminds buyers of the cold, dark winter months. Don’t let trees block out the light. Speaking of tree branches that extend over the tops of homes, your roof and gutters could probably use a good power wash. When you’re done, you can hit surfaces on the ground. Obviously, you’ll want to start in high places and end in low places to keep the project clean. Dirt and moss gathered during winter are now dried out and easy to blast off. After washing the roof – moving from high places to low – power wash anything concrete or paved (e.g. driveway and walkways), too. A couple hours of easy power washing will go a long way to make a home look fresh. Landscaping is pretty obvious, but one thing folks don’t think about is to get rid of weary plants altogether. Some plants and bushes can be trimmed and brought back to a robust state pretty quickly. Others that just look plain shabby need to be yanked. Period. You won’t have enough time to bring them back to full glory if you want to sell in the next few weeks. Sometimes neighbors take off for a two week (or longer) vacation. If they’re planning to have someone to come mow their lawn, that’s obviously a good thing. Though, it might pay to check in with them. If they weren’t going to hire it out, you might offer to mow their lawn for them. In other words, don’t let a short-term neighborhood lawn situation kill your curb appeal. Solar powered outdoor lights are surprisingly cheap. Lighting the walkway to your front door can really help for evening drive-by viewings. You can pick up a set on Amazon for $20. Bark dust is also cheap. And sprucing up flower beds is fast and easy. 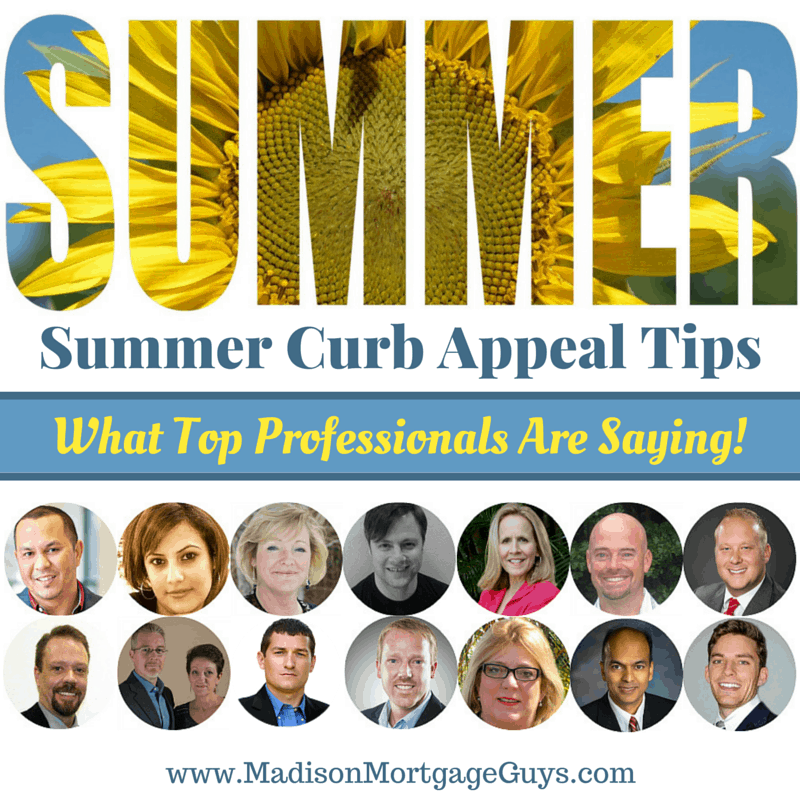 There you have it; a few relatively quick and inexpensive ways to increase summer curb appeal. This is a great time to work on those outstanding projects. These summer curb appeal tips should help get your home ready for its next owner. Block out some time in your schedule and tackle some of the suggestions above in order to make your home sparkle with new life.